Back pain is a daily experience and hindrance for many people. Many are not aware that a lack of exercise is the actual cause. The vertebrae are not perfused with blood. This is why ‘lubrication’ with tissue fluid is absolutely vital. It is the only way to keep the cartilaginous tissue elastic and functioning. Exercise on the Trimilin trampoline is truly ideal for this. 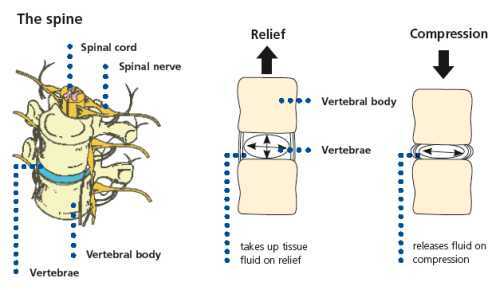 With the constant gentle pressure change, the tissue fluid is pressed out and sucked in again. There is no better way to stimulate the metabolism of the vertebrae. At the same time, you automatically stimulate and train the entire supporting muscles along the spine. Training on the Trimilin trampoline strengthens the cartilage of the joints, increases the production of red and white blood cells in the spinal cord and the number of collagen fibers for a stronger and better protection of the joints. Can you imagine a better training program for your back? The skeleton is the most rigid part of our body. This is why the bones are most susceptible for shocks and traumas. Jogging on hard ground is therefore not beneficial for everyone. It often results in damage to the ankle, knee and hip joints as well as the vertebrae. When training on the soft, springy and elastic Trimilin trampoline, you achieve all the positive effects of jogging without the damaging impact of a hard floor. In addition, you train your sense of balance and coordination automatically. As shown by a scientific study at Halle University. Healthy bone tissue is the result of daily exercise and sufficient muscle tension. The skeleton constantly reshapes itself. 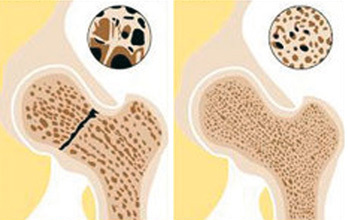 Depending on the exercise, old bone material is replaced with new bone fibres. Each strain on the body leads to an increased deposit of new material and growing bone strength. Even gentle swinging on the Trimilin trampoline is successful. „I frequently suffered from arthrosis in the past years, and these symptoms have completely disappeared now. The Trimilin also helps against constipation. I am 70 years ......"